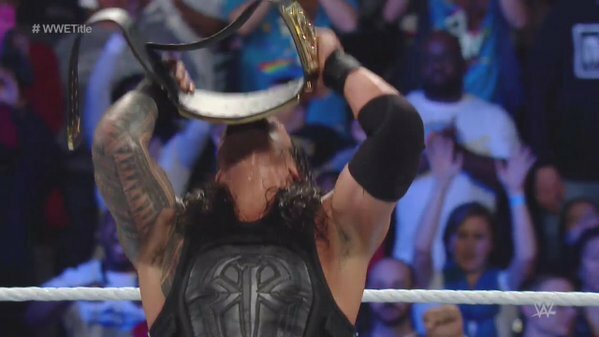 Roman Reigns, at long last, won the WWE championship. After having the title pulled out pulled out of his grasp at WrestleMania 31, and after having Bray Wyatt crash his assured victory in the Money in the Bank briefcase ladder match, he finally, finally managed to win the belt. This photo, and all henceforth, c/o @WWE. The WWE’s poster boy-to-be finally has the title, which is likely lay the framework to the post-John Cena Era, and could very well…oh, wait, nevermind. He lost the title. FALSE ALARM, EVERYBODY! 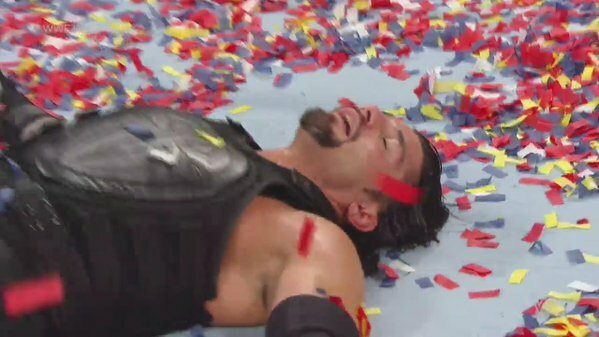 But seriously, Reigns won the title, and lost it in one of the shortest reigns in WWE/F World Heavyweight Championship history. So what the heck happened? How did this come to pass? Find out after the jump!